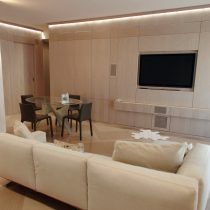 The minimal chic boiserie is the showpiece in this house. 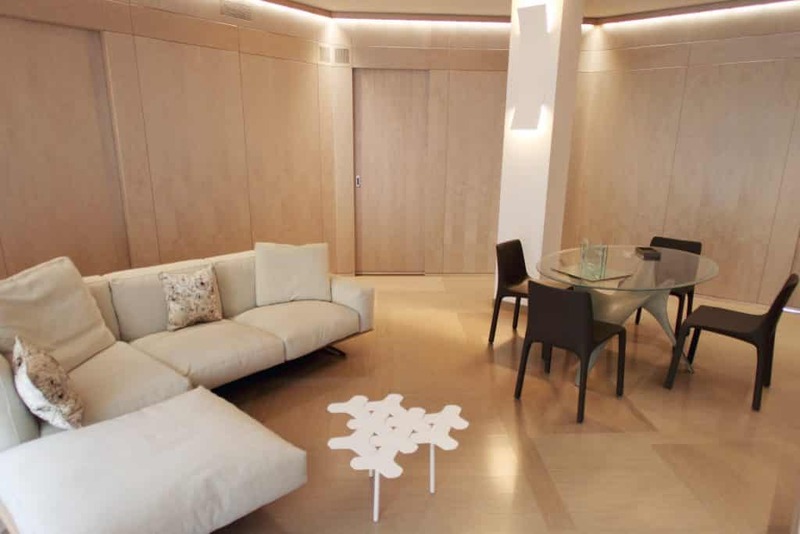 Everything has been covered with panels and containers made of bleached birch and stained grey, the floor itself is made with the same wood. 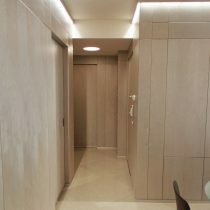 The philosophy adopted: create many containers that are not visible, not mobile but that are real walls that cover everything and at the same time have the utmost functionality. 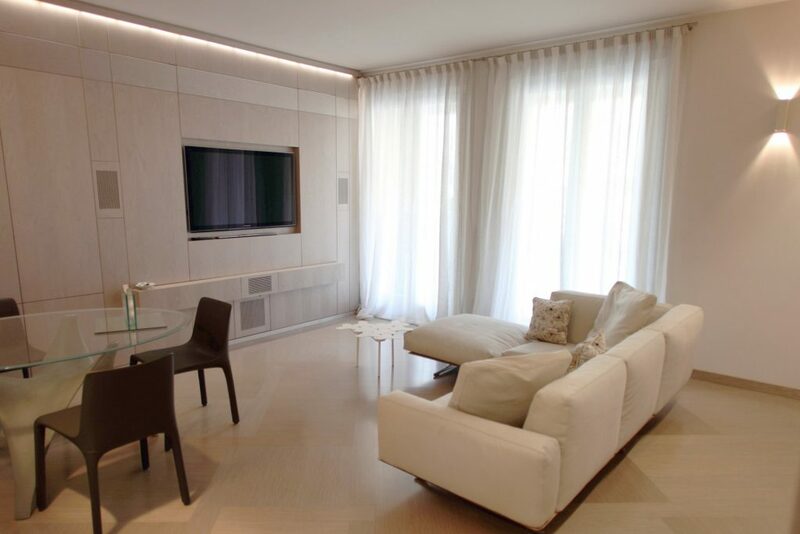 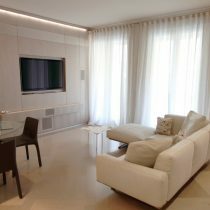 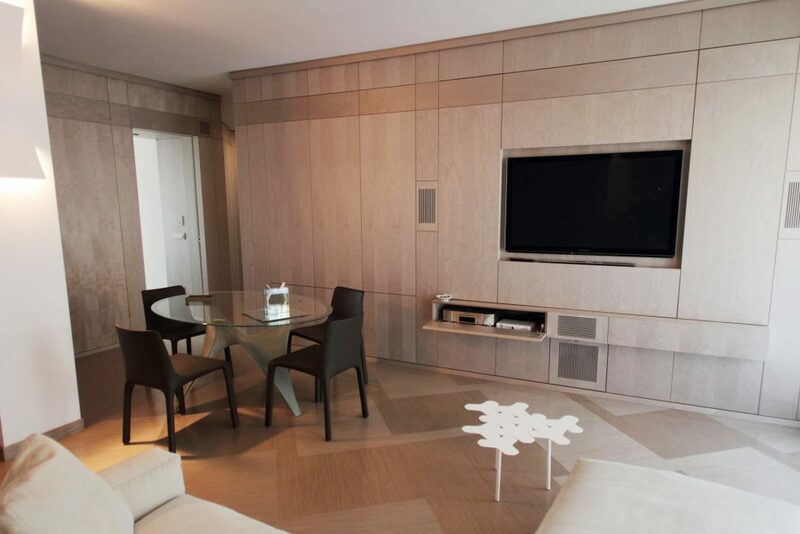 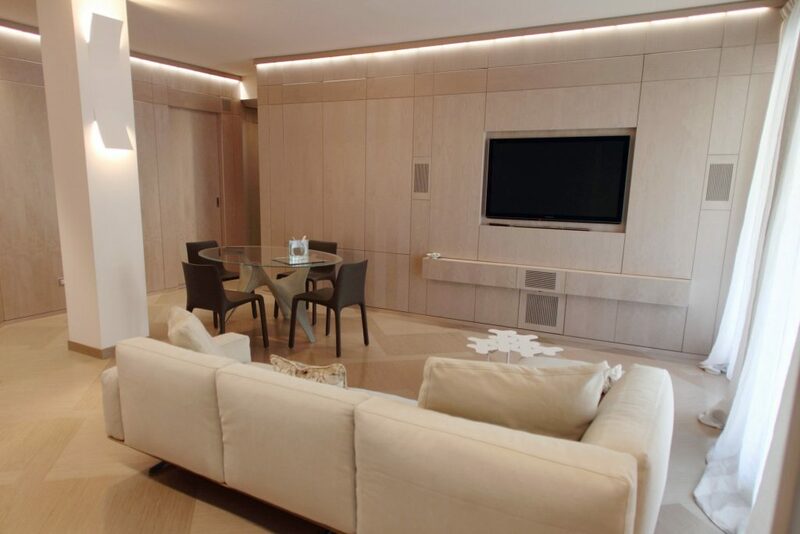 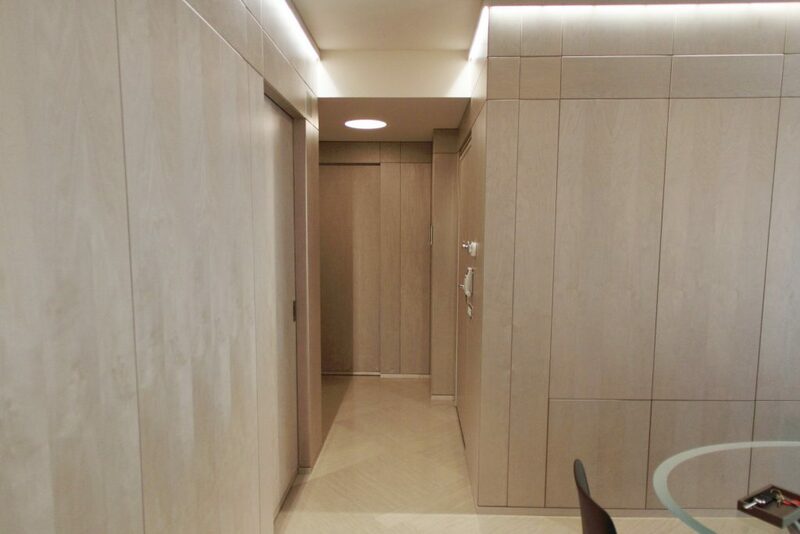 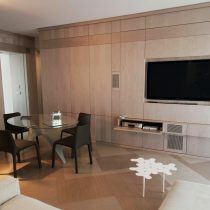 The result obtained is exceptional to say the least, an extremely elegant apartment, warm and user-friendly.